Not to be confused with the quietist doctrine of Miguel de Molinos. 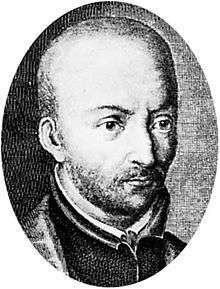 Molinism, named after 16th Century Spanish Jesuit theologian Luis de Molina, is a religious doctrine which attempts to reconcile the providence of God with human free will. William Lane Craig and Alvin Plantinga, despite not being Roman Catholic, are some of its best known advocates today, though other important Molinists include Alfred Freddoso and Thomas Flint. In basic terms, Molinists hold that in addition to knowing everything that does or will happen, God also knows what His creatures would freely choose if placed in any circumstance. Kenneth Keathley, author of Salvation and Sovereignty: A Molinist Approach, states that Molinists argue that God perfectly accomplishes His will in the lives of genuinely free creatures through the use of His omniscience. After Luis de Molina, Molinists present God’s knowledge in a sequence of three logical moments. The first is God's knowledge of necessary truths or natural knowledge. These truths are independent of God's will and are non-contingent. This knowledge includes the full range of logical possibilities. Examples include statements like, "All bachelors are unmarried" or "X cannot be A and non-A at the same time, in the same way, at the same place" or "It is possible that X obtain". The second is called “middle knowledge” and it contains the range of possible things that would happen given certain circumstances. The third kind of knowledge is God's free knowledge. This type of knowledge consists of contingent truths that are dependent upon God's will; or truths that God brings about, that He does not have to bring about. Examples might include statements like "God created the earth" or something particular about this world which God has actualized. This is called God’s “free knowledge” and it contains the future or what will happen. In between God’s natural and free knowledge is His middle knowledge (or scientia media) by which God knows what His free creatures would do under any circumstance. These are truths that do not have to be true, but are true without God being the primary cause of them. "If you entered the ice cream shop, you would choose chocolate" is an example of a statement God knows via middle knowledge. This is very difficult for some to grasp. The Molinist claims that in this example, God knows what His free creatures would choose under hypothetical circumstances, namely that the Sodomites would have responded in such a way that Sodom would still have been in existence in Jesus' day. Matthew 11:23 contains what is commonly called a counterfactual of creaturely freedom. But counterfactuals are to be distinguished from foreknowledge. The Bible contains many examples of foreknowledge such as Deut 31:16-17, where God tells Moses that the Israelites will forsake God after they are delivered from Egypt. Some opponents of Molinism claim that God's foreknowledge and knowledge of counterfactuals are examples of what God is going to actively bring about. That is, when Christ describes the response of the Sodomites in the aforementioned example, God was going to actively bring it about that they would remain until today. Molinists have responded to this objection by noting that scripture contains examples of God's foreknowledge of evil acts. For example, the Israelites forsaking God, or Peter's denial of Christ, are both examples of what one would call overt acts of sin. Yet, according to opponents of Molinism, God is actively bringing about these overt acts of sin. This is obviously fallacious according to the Molinist. In order for this account of prophecy to be valid all prophecies must be wholly good, and never contain evil acts; but this is not what opponents believe to be the case. Molinists believe that God has knowledge not only of necessary truths and contingent truths, but also of counterfactuals. (God's knowledge of counterfactuals is often referred to as his middle knowledge, although technically that term is more broad than simply the knowledge of counterfactuals.) A counterfactual is a statement of the form "if it were the case that P, it would be the case that Q". An example would be, "If Bob were in Tahiti he would freely choose to go swimming instead of sunbathing." The Molinist claims that even if Bob is never in Tahiti, God can still know whether Bob would go swimming or sunbathing. The Molinist believes that God, using his middle knowledge and foreknowledge, surveyed all possible worlds and then actualized a particular one. God's middle knowledge of counterfactuals would play an integral part in this "choosing" of a particular world. 1. God's natural knowledge of necessary truths. 2. God's middle knowledge, (including counterfactuals). 3. God's free knowledge (the actual ontology of the world). Hence, God's middle knowledge plays an important role in the actualization of the world. In fact, it seems as if God's middle knowledge of counterfactuals plays a more immediate role in perception than God's foreknowledge. William Lane Craig points out that “without middle knowledge, God would find himself, so to speak, with knowledge of the future but without any logical prior planning of the future.” The placing of God's middle knowledge between God's knowledge of necessary truths and God's creative decree is crucial. For if God's middle knowledge was after His decree of creation, then God would be actively causing what various creatures would do in various circumstances and thereby destroying libertarian freedom. But by placing middle knowledge (and thereby counterfactuals) before the creation decree God allows for freedom in the libertarian sense. The placing of middle knowledge logically after necessary truths, but before the creation decree also gives God the possibility to survey possible worlds and decide which world to actualize. William Lane Craig calls Molinism “one of the most fruitful theological ideas ever conceived. For it would serve to explain not only God’s knowledge of the future, but divine providence and predestination as well”. Under it, God retains a measure of divine providence without hindering humanity's freedom. Because God has middle knowledge, He knows what an agent would freely do in a particular situation. So, agent A, if placed in circumstance C, would freely choose option X over option Y. Thus, if God wanted to accomplish X, all God would do is, using his middle knowledge, actualize the world in which A was placed in C, and A would freely choose X. God retains an element of providence without nullifying A's choice and God's purpose (the actualization of X) is fulfilled. Molinists also believe it can aid one's understanding of salvation. Ever since Augustine and Pelagius there has been debate over the issue of salvation; more specifically how can God elect believers and believers still come to God freely? Protestants who lean more towards God's election and sovereignty are usually Calvinists while those who lean more towards humanity's free choice follow Arminianism. However, the Molinist can embrace both God's sovereignty and human free choice. Take the salvation of Agent A. God knows that if He were to place A in circumstances C, then A would freely choose to believe in Christ. So God actualizes the world where C occurs, and then A freely believes. God still retains a measure of His divine providence because He actualizes the world in which A freely chooses. But, A still retains freedom in the sense of being able to choose either option. It is important to note that Molinism does not affirm two contradictory propositions when it affirms both God's providence and humanity's freedom. God's providence extends to the actualization of the world in which an agent may believe upon Christ. Molinism differs from Calvinism by affirming that God grants salvation, but humanity has the choice to freely accept it or reject it (but God knows that if the person were put in a particular situation he or she would not reject it). This differs from Calvinistic predestination, which states that a person's salvation is already determined by God such that he or she cannot choose otherwise or resist God’s grace. It also differs from Arminianism because it claims that God definitively knows how a person would react to the Gospel message if they were put in a particular situation. Molinists have internal disagreements about the extent to which they agree with Calvinism, some holding to unconditional election, others holding to conditional election and others still holding to an election that is partly both. Alfred Freddoso explains: “Some Molinists, including Bellarmine and Suárez, agree with the Bañezians that God antecedently elects certain people to eternal glory and only then consults his middle knowledge to discover which graces will guarantee their salvation. Thus, in Peter's case, God would have chosen different graces if those he actually chose had been foreknown to be merely sufficient and not efficacious for Peter's salvation. Other Molinists, including Molina himself, vigorously reject any such antecedent absolute election of Peter to salvation. 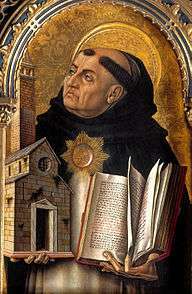 They insist instead that God simply chooses to create a world in which he infallibly foresees Peter's good use of the supernatural graces afforded him, and only then does he accept Peter among the elect in light of his free consent to those graces.”  Other Molinists avoid the issue altogether by holding to the highly controversial view of trans-world damnation, the idea that the unsaved in this world would have rejected Christ in any world. In 1581, a heated argument erupted between the Jesuits, who advocated Molinism, and the Dominicans, who had a different understanding of God's foreknowledge and the nature of predestination. 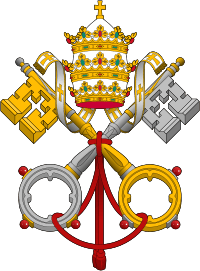 In 1597, Pope Clement V established the Congregatio de Auxiliis, a committee whose purpose was to settle this controversy. In 1607, Pope Paul V ended the quarrel by forbidding each side to accuse the other of heresy, allowing both views to exist side-by-side in the Catholic Church. 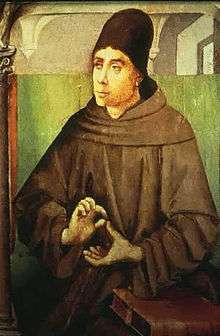 Molinism has also been used to describe the biblical canon being formed under God, while still being chosen by humans in the history of the Church. If God could survey the various possible worlds and see in which one the correct canon was chosen, then God would be able to actualize that particular world in which the correct canon is preserved. In this way God can provide the modern Church with the correct set of books. This is only necessary in a Protestant frame of mind, however, as Catholics see the Catholic Church as having God-given ability to determine the New Testament canon, which it did in the Synod of Rome, the Synod of Carthage, and reaffirmed at the Council of Trent. Even if the Protestant premise was true, however, different branches of Christianity have different canons; the Catholic Church has 72 books; Protestants, 66; Eastern Orthodox 77; and the Oriental Orthodox up to 100. Thomas Flint has developed what he considers other implications of Molinism, including papal infallibility, prophecy, and prayer. William Lane Craig uses Molinism to reconcile scriptural passages warning of apostasy with passages teaching the security of believers. Craig has also used middle knowledge to explain a wide range of theological issues, such as divine providence and predestination, biblical inspiration, perseverance of the saints, and Christian particularism. Thomas Flint claims the twin foundations of Molinism are God’s providence and man’s freedom. Molinism harmonizes texts teaching God’s providence (such as Acts 4:28 or Ephesians 1:11) with texts emphasizing man’s choice (such as Deuteronomy 30:19 or Luke 13:34). Many philosophers and theologians who embrace the grounding objection prefer to claim that instead of counterfactuals of freedom being true, probable counterfactuals are true instead. So instead of truths of the following sort: "God knows that in circumstance C creature X will freely do A" God knows truths of this sort: "God knows that in circumstances C creature X would probably do A." Yet, as Edward Wierenga has pointed out, probable counterfactuals are also contingent truths and fall victim to the same grounding objection. Molinists have responded to the aforementioned argument two ways. First, as Alfred Freddoso states, "it seems reasonable to claim that there are now adequate metaphysical grounds for the truth of conditional future contingent Ft(P) on H just in case there would be adequate metaphysical grounds at t for the truth of the present-tense proposition p on the conditions that H should obtain at t."  William Lane Craig agrees "[I]n order for a counterfactual of freedom to be true, it is not required that the events to which they refer actually exist; all that is required is that they would exist under the specified conditions." The idea here is that if we imagine God creating multiple universes in multiple dimensions and giving people libertarian free will in the various universes and letting events all play out, we would have no problem grounding counterfactuals of freedom based on the events in the various universes. But why should God need to create such universes to know how events would unfold, and couldn’t how they would turn out ground statements about how they would turn out? Further objections at this point lead to a second line of response. Alvin Plantinga responds to the grounding objection by saying "It seems to me much clearer that some counterfactuals of freedom are at least possibly true than that the truth of propositions must, in general, be grounded in this way." William Lane Craig follows up on this by pointing out the burden of proof the grounding objector bears. The grounding objection “asserts that there are no true counterfactuals about how creatures would freely act under any given set of circumstances. This assertion is no mere ostensibly undercutting defeater of Molinism, but a putatively rebutting defeater. It makes a bold and positive assertion and therefore requires warrant in excess of that which attends the Molinist assumption that there are true counterfactuals about creaturely free actions.” Latter, Craig points out “Anti–Molinists have not even begun the task of showing that counterfactuals of creaturely freedom are members of the set of propositions or statements which require truth–makers if they are to be true.” Thus the grounding objector must prove a universal negative regarding the falsity of counterfactuals of freedom or he must explain his theory of the basis for truth and prove that theory true. The difference in perspectives here may be briefly described in the following way. According to critics, the way in which an agent will make a free choice inherently cannot be known apart from observation of the choice being actualized. God may be able to observe these choices via prescience, but even He must still observe them to know them. Therefore, God cannot know what we will do, unless he sees the future. The Molinist position, exemplified by Craig in the preceding paragraph, is 1) to argue this requires potentially heretical arguments relating to a limitation of divine omniscience, and 2) that a choice can be free, and yet the way in which an agent will make that choice can be known apart from observation of the actualized choice itself (and even apart from the actualization of the choice entirely). Critics maintain that this is no longer really a free choice: if it is known that "If she were offered a dollar, she would take it," apart from actually offering that person a dollar, then she is not free to take or not take that dollar. It will be noted that the question hinges upon whether, by the definition of a free choice, it is possible to know which choice will be made independently from the actualization of that choice. ↑ Keathley, Kenneth (2010). Salvation and Sovereignty: A Molinist Approach. Nashville: B&H Publishing Group. pp. 16–41. ISBN 978-0-8054-3198-8. ↑ The Bible also contains several examples of counterfactuals, such as 1Samuel 23:1-14 and Wisdom of Solomon 4:11. ↑ This is the stance that Gregory Boyd takes, among other places, in his book God of the possible. ↑ Craig. The Only Wise God. 1999 p. 134. ↑ James Beilby and Paul Eddy, Divine Foreknowledge, Four views. Downers Grove, Illinois: InterVarsity Press, 2001. pg 120-123. 1 2 Craig, William Lane (2001). l. Peterson, Michael, ed. "Middle Knowledge, Truth-Makers, and the Grounding Objection". Faith and Philosophy. 18 (3): 337–52. doi:10.5840/faithphil200118329. ↑ Craig. The Only Wise God. 1999 p. 127. ↑ Feddoso. "Molinism," in Edward Craig, ed., Routledge Encyclopedia of Philosophy (London: Routledge, 1998). ↑ Thomas Flint, Divine Providence: The Molinist Account, pages 179-250. ↑ Craig, William Lane (1991). "?Lest anyone should fall? : A middle knowledge perspective on perseverance and apostolic warnings". International Journal for Philosophy of Religion. 29 (2): 65. doi:10.1007/BF00133805. ↑ "'Lest Anyone Should Fall': A Middle Knowledge Perspective on Perseverance and Apostolic Warnings.". International Journal for Philosophy of Religion (29): 65–74. 1991. ↑ William Lane Craig. "The Middle Knowledge View." Divine Foreknowledge, Four Views. Downers Grove: InterVarsity Press, 2001. 124. ↑ Craig, William Lane (2001). l. Peterson, Michael, ed. "Middle Knowledge, Truth-Makers, and the 'Grounding Objection'". Faith and Philosophy. 18 (3): 337–52. doi:10.5840/faithphil200118329. ↑ Thomas Flint, Divine Providence: The Molinist Account, page 11. ↑ For example, consider Gregory Boyd's article "Neo-Molinism and the Infinite Intelligence of God," Philosophia Christi,vol. 5, nu 2; 2003. Boyd claims that divine omniscience entails 'might' counterfactuals--counterfactuals of what a creature might or might not do (190-192). See also Adams, Robert Merrihew (1977). "Middle Knowledge and the Problem of Evil" (PDF). American Philosophical Quarterly. 14 (2): 109–17. JSTOR 20009657. ↑ Wierenga, Edward (2001). "Providence, Middle Knowledge, and the Grounding Objection". 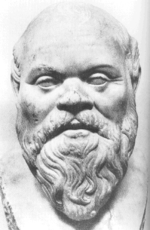 Philosophia Christ. 3 (2): 447–56. ↑ William Lane Craig, Divine Foreknowledge and Human Freedom. New York, E.J. Brill; 1991, 260. ↑ Alvin Plantinga, "Reply to Robert Adams," in Alvin Plantinga, ed. James E. Tomberlin and Peter Van Inwagen, Profiles 5 (Dordrecht: D. Reidel, 1985), p. 378. James Beilby and Paul Eddy. Divine Foreknowledge: 4 Views Illinois, InterVarsity; 2001. William Lane Craig, Divine Foreknowledge and Human Freedom. New York, E.J. Brill; 1991. Craig, WIlliam Lane (1999). The Only Wise God. Eugene, Wipf and Stock. Thomas Flint, Divine Providence, The Molinist Account. London, Cornell University Press; 1998. Hasker, William (2002). "The Antinomies of Divine Providence". Philosophia Christi. 4 (2). William Hasker, God, Time, and Knowledge. London, Cornell University Press; 1989. Keathley, Kenneth (2010). Salvation and Sovereignty: A Molinist Approach. Nashville: B&H Publishing Group. ISBN 978-0-8054-3198-8. Alvin Plantinga, God, Freedom, and Evil. Grand Rapids, Eerdmans; 1974. Plantinga, Alvin (1986). l. Peterson, Michael, ed. "On Ockham's Way Out" (PDF). Faith and Philosophy. 3 (3): 235–69. doi:10.5840/faithphil19863322. 'No Other Name': A Middle Knowledge Perspective on the Exclusivity of Salvation through Christ by William Lane Craig, Faith and Philosophy 6:172–88, 1989.